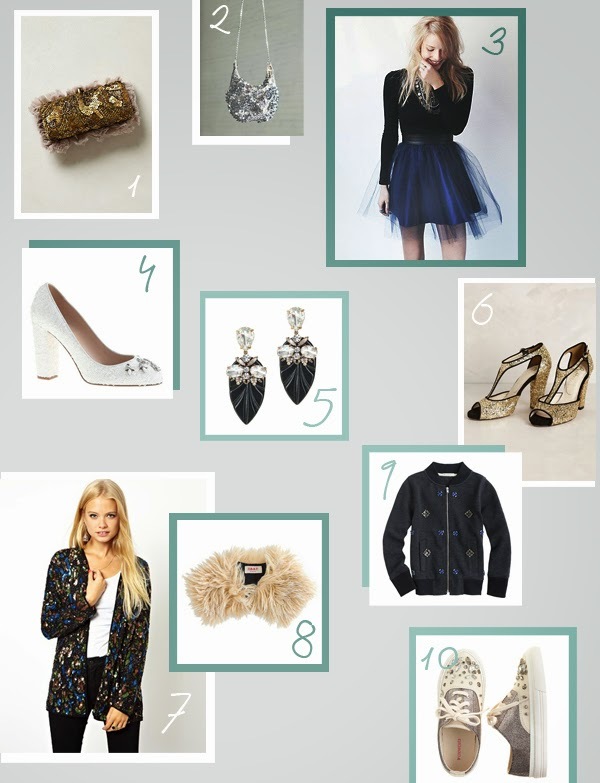 As soon as December opens it's chilly doors, my wardrobe longs for all things sparkly. It's one of my favorite ways to fancy up and I love the way clothing this holiday season has been subtly embellished, with little shimmers adorning colors and cuffs, making it easy to wear even for everyday (I wear this shirt from Loft all the time!). So today I'm sharing a few of my favorite finds, all gorgeous for this magical month! This wish list series is a happy collab with Holly Marie Designs. Check out her lovely site!